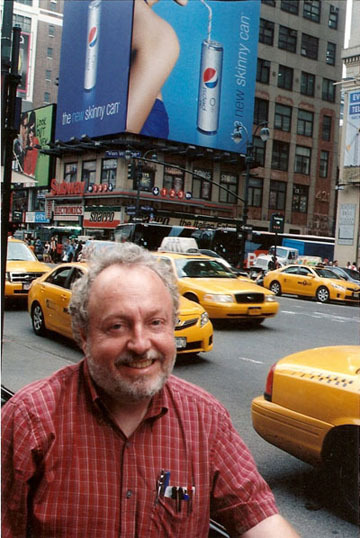 For decades, Illinois-born writer Gerald Nicosia has made it his business to follow the fortunes and misfortunes of the spunky writers of the Beat Generation. This year, with three new Beat movies on the horizon, he’s as vigilant and as outspoken as ever. Daniel Radcliffe of Harry Potter fame stars as Allen Ginsberg in Kill Your Darlings; Jack Kerouac’s dark night of the soul will be depicted in Big Sur; and Walter Salles, the director of The Motorcycle Diaries, directs the big-screen version of On The Road, which will be among the titles competing for best film at this year’s Cannes Film Festival. An adviser on Salles’s film, Nicosia is betting that it will help spread the rebellious spirit of the Beats. 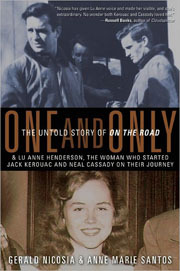 The author of the Kerouac biography Memory Babe (Grove Press, 1983) as well as a new Beat chronicle called One and Only: The Untold Story of On the Road (Viva Editions, $22.95) and a poet in his own right, Nicosia carries on the cultural and spiritual legacy of his literary heroes. For him, American literature is the literature of protest and rebellion that goes back to Henry David Thoreau and that includes socialist adventurer Jack London, and the tribe of Chicago writers such as Nelson Algren, author A Walk on the Wild Side. Though he lives in bucolic Marin County, California, he walks and talks with the gusto of Chicago and its rough-and-tumble novelists and poets. I’ve known Nicosia for thirty years; we first met after a poetry reading by Allen Ginsberg. When I heard that three new movies about the Beats were on the way, I thought it was time to talk to Nicosia again and find out what he was thinking about Kerouac, Ginsberg, Burroughs, and their friends and lovers. Jonah Raskin: With new movies about the Beats coming to theaters what would you hope Americans learn about Kerouac, Ginsberg, Cassady, and their wives and girlfriends? Gerald Nicosia: That they were responding to an urgency in America, a wrong direction taken, a loss of community, a loss of brotherly love, a loss of a moral center. JR: You worked as an adviser to the film version of On the Road. What suggestions did you make to the actors and the director? GN: I told the actors not to worry about getting the exact details of the lives they were portraying. I told them that what was important was to give people a sense of their open-heartedness. With the director, Walter Salles, I got into things more deeply. He wanted to talk about the main characters’ search for identity and for the father. I told him I thought the brother relationship between Neal Cassady and Jack Kerouac was at the heart of the novel—these two outcasts, misfits, learning to care about and take care of each other, breaking down the walls of isolation that were being so rapidly erected in postwar World War II America. JR: Why do you think there are three Beats movies coming out now? GN: The cash-in on the Beats began several years ago. Now, you have three estates, those of Kerouac, Ginsberg, and Burroughs, discovering that there is unlimited money to be made in marketing these properties in electronic media and film. JR: Will any of the new movies do justice to the Beats? GN: I have the highest hopes for the movie of On The Road, because it was made outside the Hollywood system, financed by a small European company, MK2, and made by people who genuinely care about Jack’s message. I don’t think Salles was under the same pressure to make a “hit” that American moviemakers are under. JR: When and where and how did you first become interested in Kerouac? GN: I was at the University of Illinois in Chicago, getting my master’s. My officemate was a hip kid from Harvard who kept dropping Kerouac’s name because he knew I hadn’t read him. This was 1972, three years after Jack died. The Dharma Bums and On The Road were the only two Kerouac books in print. I was blown away by Kerouac’s compassion for the down-and-out, the working class, those on the wrong side of American capitalism. JR: On what side of capitalism were you raised? GN: My family was working class—my dad a mailman, his father a construction worker and chimney sweep; my mom’s father was a barrel maker, my mom’s mom ran a grocery store, my mom was a secretary all her life. JR: How do you explain the Beats? Kerouac came from a Catholic working-class family; Ginsberg was from a Jewish left-wing family; Burroughs was White Anglo-Saxon Protestant. What did they have in common? GN: Amiri Baraka says they all came from minorities not yet fully assimilated into the American capitalist dream. I would say they were individuals who, by birth, temperament, political persuasion, and economic status, did not fit in with materialistic, chauvinistic, and belligerent American society. They were trying to find a way they felt had existed during the Great Depression of the 1930s. JR: You spent years doing research about Jack Kerouac. What would you say was the biggest surprise? GN: Kerouac’s books portray a hero and narrator free and easy, confident, sure of his rebellion against the American system. In reality, Jack was torn between Catholicism, Buddhism, and his own demon-driven pursuit of kicks, between spirit and flesh, between mom’s house and the Beat coffeehouse, patriotism and subversion, men and women, society and solitude, carousing and meditation, sacred and profane, secular and divine. It’s a miracle he survived as long as he did. JR: For years the Sampas family controlled the Kerouac estate. For those who don’t know, who are they and what damage did they do? GN: Sam Sampas was Jack’s first friend who gave him the courage to be a poet despite the jeers of his working class community. Late in life, when Jack’s mom had a stroke and refused to go into a nursing home he married Stella Sampas, Sam’s older sister, to take care of his mother. The marriage was a disaster, and Jack was about to divorce her when he died of liver disease from drinking at forty-seven. JR: What happened with the will of Jack’s mother? GN: Gabrielle Kerouac’s will was forged, probably by Stella, thus stealing the estate from her grandchildren: Jack’s daughter, Jan Kerouac, and Jack’s nephew, Paul Blake, Jr. The damage they did was to sell Kerouac’s archive into private hands. Not one of the nine or ten manuscripts Jack wrote on long rolls of paper is now in a library where it can be studied. JR: I’ve heard it said that if it weren’t for Ginsberg and his savvy with promotion and public relations, there would be no Beat Generation. How important was he in the marketing of his friends and their books? GN: He was very important—both in terms of things he wrote, and in schmoozing people in positions of power who could help the Beats get recognized. His thousands of readings carried the Beat message to millions of people. JR: Ginsberg, Kerouac, Burroughs, and Cassady knew one another from New York in the 1940s. How was that time and place significant for their development? GN: I think for all of them the key was to break out of the conformity, narrow-mindedness, and materialism that New York represented. Neal Cassady with his visions of Western individualism provided a way out for Ginsberg and Kerouac; for Burroughs the way out was through Tangier, Paris, and London, and finding more freedom in older cultures. JR: If the major figures of the Beat Generation were alive today, what do you think they would be doing now? GN: Kerouac would be writing. Cassady would be taking Viagra and chasing women. Ginsberg would be teaching. Burroughs would be taking his daily Methadone and plotting his next novel. They were driven people, on a mission, and only death could stop them. JR: We know now that there were women of the Beat Generation and that they wrote books. What do their books add to those written by their lovers, husbands, and boyfriends? GN: There was a heavy price to be paid for that male-led revolution. Somebody had to support it by hard work and carrying the daily load, the family load, that those male revolutionaries didn’t have time or inclination for. JR: In what ways do you think the Beats led to the rebellion and the protests of the 1960s? GN: They absolutely made the crack in ’50s consciousness, through which the counterculture of the ’60s poured. It couldn’t have entered without that wedge driven into the concrete wall of Eisenhower-McCarthy-Billy Graham America. JR: The Beats became a global phenomenon. What is it about them that appealed to citizens of the world? GN: They are citizens of the world; they speak as citizens of the world. It was a rare American ecumenical movement—even more so than the Transcendentalists, who were also reading Asian and Indian texts. The Beats actually went to those places, mingled with people, shared their writings, and learned from other cultures. I think people in other countries see this as a rare phenomenon among Americans. JR: The Beats didn’t do anything in moderation. If you knew them back in the day, would you have cautioned them not to be as intense as they were? GN: No, you can’t slow down intense people. They have to burn at their own rate. People on a mission are unstoppable. God bless them for it. It would be a poorer, more miserable world without them. JR: For someone nineteen or twenty years old now, what Beat books would you recommend they read? GN: On the Road, The Dharma Bums, Desolation Angels by Kerouac. Howl, Kaddish, and The Fall of America by Ginsberg. Most of Burroughs is going to go over their heads, unless they’re lit majors. 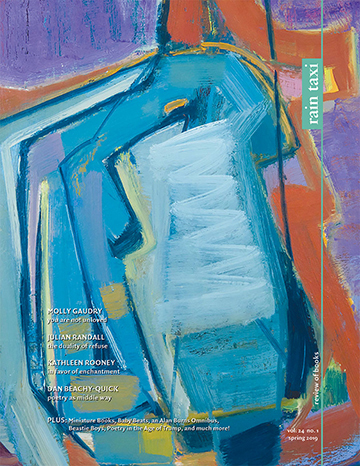 Gregory Corso’s poems, “Marriage” and “Bomb.” Diane Di Prima’s Revolutionary Letters, Ted Joans’s Teducation, Bob Kaufman’s Cranial Guitar, Jack Micheline’s River of Red Wine, and Ray Bremser’s Poems of Madness and Cherub. Jonah Raskin is the author of American Scream: Allen Ginsberg’s “Howl” and the Making of the Beat Generation. This entry was posted in Uncategorized and tagged Spring 2012 on November 6, 2013 by admin.